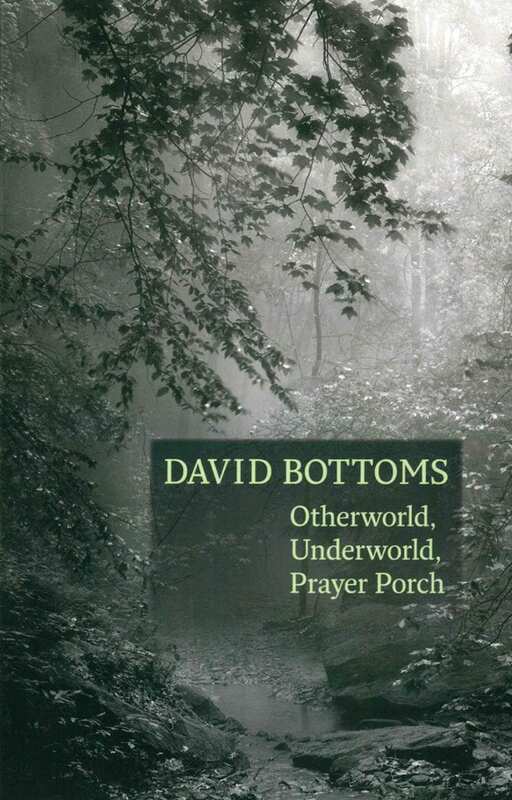 Georgia State University professor David Bottoms’ ninth poetry collection, Otherworld, Underworld, Prayer Porch, revisits some of the familiar subjects that first brought the Georgia native widespread acclaim in 1979, when his first collection, Shooting Rats at the Bibb County Dump, was selected by Robert Penn Warren as winner of the 1979 Walt Whitman Award. ArtsATL: Otherworld could be described as a revisiting of familiar territory. What motivated your return to these subjects? What’s different this time? David Bottoms: I think there’s a large influence of the poetry of R.S. Thomas, who is a Welsh poet. I’ve been reading R.S. Thomas. You know I’m getting older, and you think about things like this when you get older. He was a priest, a very unorthodox priest, but he wrote some dynamite poems. He’s probably the best poet from Wales, maybe ever, I don’t know. Terrific, terrific poet. Just thinking about him, and getting older and things like that, family. That sort of thing. ArtsATL: I wanted to ask you about the collection’s title. Otherworld, Underworld, Prayer Porch. What exactly is a “prayer porch”? Bottoms: Well, in the house we just sold, we had a porch, a little screen porch on the back, and we just called it our prayer porch. Had a few icons on it and that kind of thing. And that’s all it was, just very literal. Back porch of the house. Bottoms: Yeah, they’re not literal at all . . . I don’t know where the title came from, quite frankly. There’s a poem in there titled that, not a very great poem. But I think it just all goes back to R.S. Thomas, getting older and thinking about these things that you normally wouldn’t think about. Bottoms: That’s very perceptive. I wish I knew. I’m always struck how memories don’t quite prove to be literally true. You know, they kind of confuse you. You remember how a thing happened, and actually it turns out it was totally different. I think about my childhood. I grew up on the side of Highway 5 in Canton, Georgia. And my grandpa had an old country store down the road about a hundred yards, and he had a barn and a chicken house, a couple fields, a horse, and at one time, a cow, but, you know, all that’s gone now, paved over for a parking lot. ArtsATL: I’m sure you’ve undoubtedly witnessed the “plowed over, prayed over, paved over” aspects of the South as you describe them in “A Small Remembrance.” You’ve seen firsthand the urbanization and influx of transplants from the North and from all over the world. Bottoms: Yeah, I talked to my cousin the other day, one of the last relatives I have. We grew up together. And we were saying when we’re gone, nobody’s going to know anything about this stuff. Because it exists in our memory. Nobody will know anything about the barn, what it looked like. Or what that store looked like. Or what they sold in the store. It’s all gone. The only place it exists is in memory. ArtsATL: Do you think of the poems as a way of preserving — however accurate or inaccurate — the past for us, people who may not have been around to see it? Bottoms: Exactly; it’s a natural preservation. ArtsATL: We’re living in tumultuous, politically polarizing times in America and especially in the South, a time of turbulent race relations with things like the march in Charlottesville and the controversy surrounding the removal of Confederate statues. Yet your poems are notably absent of current events, politics or certainly any kind of polemic. I was wondering, what place, if any, does politics have in poetry? Bottoms: Not in my poetry. I stay away from that. People have mentioned that to me before, why I don’t write about race or anything. And other people have done that, and done it very well, better than I can. But I’m kind of after something on a different level in this book. And the last book too. This book is almost a continuation of the last book. Because what I’m after here, there’s a quote on the back of this book by Ed Hirsch that I like. He says that I’m a storyteller, a seeker, trying to come to terms with ultimate things. That pretty much sums the book up. Trying to come to terms with ultimate things. And though politics is important, it’s not ultimate. What I love about the poetry of R.S. Thomas is that he sees poetry as a constant search for ultimate meaning. That’s how Yeats saw it too. Poetry is a search for the ultimate. And that’s kind of what I’m about, I mean, at this stage in my life anyway. 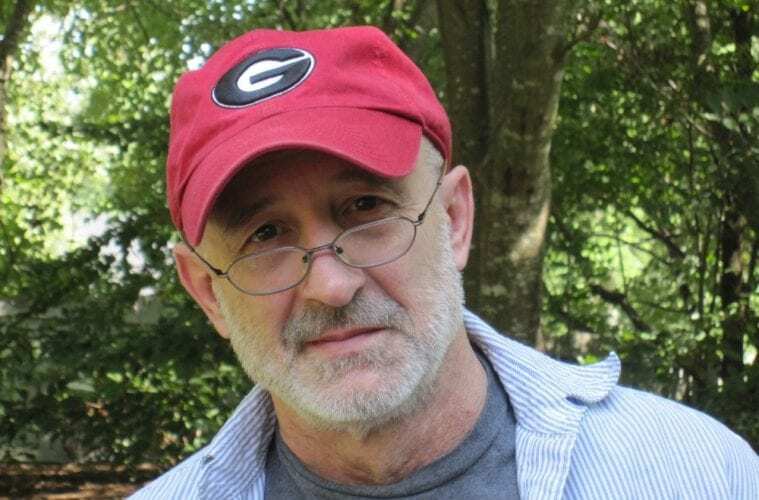 ArtsATL: A lot your work involves the personal or the inner life, and for the most part, the poems are absent of direct engagement with a larger history. You do, however, allude to historical events such as World War II in “A Small Remembrance,” Vietnam in “Summer 1968,” and the Iraq War in “Spring 2012.” But you come to them through the smaller, personal story: through a conversation with a friend, or through your father’s experience or watching television. Tell me about this approach to the larger story of America and world history. Bottoms: I think we see things through our own eyes, you know. When I write about Vietnam, I think about my own situation. . . . I came along at a time when nobody wanted to go to Vietnam, nobody wanted to be in a war. It was not a good war. I remember when I was drafted. I was drafted and went down to be inducted. I was 1A. It was terrible. War is terrible. People were trying to get in to join. They couldn’t join because of some health problem or something. I remember thinking, God bless, these people were awful. Terrible. I mean trying to join the Army now? Nobody wanted to go. But I think you see these things through your own eyes. And that’s the way you come to the world. Through your own personal story. And in a poem, you hope you can make your story universal enough to touch everybody. I don’t know if I did it or not. ArtsATL: I definitely think you do. I see that technique in a lot of the poems. “The Moon My Mother Shot For” was one of my favorite poems in the collection. I really don’t come across a lot of American poems that deal with socioeconomic class. I wanted to ask you how the socioeconomic status of your upbringing, how it shaped you as a writer or has shaped your work. Bottoms: This is the last poem about my mom in that section. In the previous book, there were four or five poems about my dad and his death, so I just kind of turned it on my mom in this one. Like I said, we grew up in Canton, Georgia, she was a registered nurse, [and] my dad worked a couple of jobs. For about 30 years, he was an undertaker. But we didn’t have very much money, and she always aspired, she came from a family that had nothing. When she was a child, I don’t think they had running water. They just had a well. But her dad was a master carver in Nelson, Georgia. Anyhow, she always aspired to be society. That’s pretty much what the irony of this poem is. What do you do in Canton, Georgia, to be society? It’s like the poems says, the doctors and lawyers gathered at the nine-hole golf course. That’s all we had in the county when I was growing up. Nine holes. My dad never played golf. His boss played golf. But this is pretty accurate, I think. She worked for a long time, saving money to buy an engagement ring for herself. She had a mink coat. Where would you wear a mink coat in Canton, Georgia? I still have it. I can’t get rid of it. I don’t know what to do with it. . . . It’s kind of a sad poem. ArtsATL: I really appreciate the fact that you weren’t groomed to be a poet. Bottoms: Nobody in my family had even graduated from college. I don’t think my dad ever read a book in his life all the way through. When I was growing up, we had one or two books in the house. We had the King James Bible, of course. Several copies of that. And I think my mom had a book or two about Billy Graham. And that was about it. My mom and dad worked very hard to send me to Mercer University. ArtsATL: To change the gears a little bit, animals make an appearance in a lot of your work. “Foul Ball” has this very matter-of-fact way of dealing with the degradation of the environment, the chicken factory upstream polluting the Etowah River. But there’s not any strident commentary about it. It instead kind of invites readers to come to their own conclusions. The boys in the poems don’t think much about it, other than hoping they find the ball before it ends up there. And I like how in “Turkey Shoot” they’re not shooting actual turkeys, but targets, and the turkeys they win are frozen ones from the grocery store. It seems like these poems set the stage for others, showing the encroachment of the urban and suburban on the natural world. Most of the animals in these poems, they’re domestic animals — horses, dogs, chickens. Even when wild animals make an appearance, they’re all framed by a suburban environment, like “Photo: Captured Gator, Canton, Georgia, 1960.” All the birds are backyard songbirds. The fox in “A Scrawny Fox” is in a cul-de-sac. The bats in “A Panic of Bats” are seen flying from bat boxes. Has your depiction or representation of animals, has that changed a lot in your work over the years? Bottoms: I don’t think so. Ted Hughes’ work asked what’s the city going to do when it runs out of animals to write about. I don’t know. 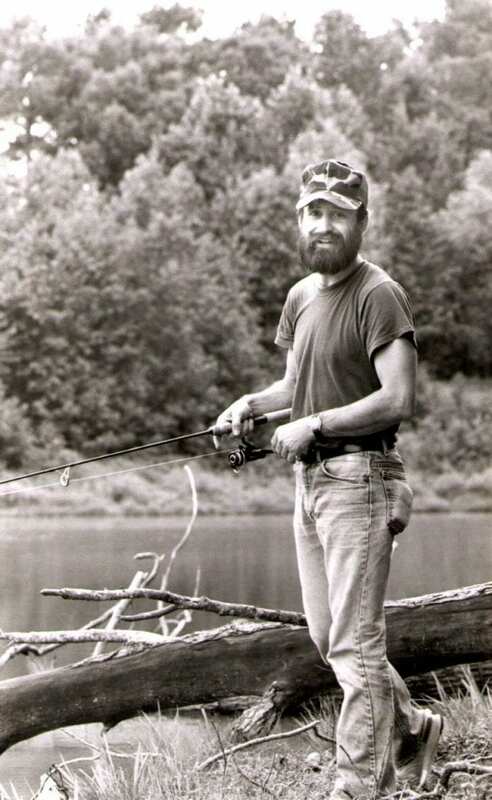 I think I always wrote about animals, but in my first book, Shooting Rats, somebody told me Warren took the eagles and horses and Dickey got the wolverines and the owls, and you got stuck with the rats and the lizards and stuff like that, you know. The lower animals. Which is fine with me. But I think the animals are a connection to the real world. And one of the few connections we really have anymore. And I remember there’s a poem early on, “Studying a Small Hill,” where I go outside, and we have a dog, Jack, he’s a German Shepherd. He’s a beautiful dog, but he’s a pain, man, a lot of trouble. And there’s a line that goes, “Often in his eyes there is more to envy / than anything human.” I think that’s true. He’s in closer touch with reality. The same thing you mentioned about the fox. Or the coyote, “Who wouldn’t want to know what she knows? / That is what she knows / and nothing more?” To live in a moment that way. ArtsATL: I have a couple of questions about the literary journal Five Points that you edit at Georgia State. I’m sure you’ve seen huge changes in the way the journal is run in readership as well as those changes that come with technology: online submissions, web content and so on. Can you talk about that? Bottoms: I think most people use Submittable. We use Submittable too. We have a great editor, managing editor/co-editor, Megan Sexton. She pretty much runs the magazine now. I think we switched over a few years ago to Submittable. And we get a ton of manuscripts. But, you know, I’m of the old school. I remember going out to the mailbox every day. I miss that. I’m not very computer savvy. And I certainly don’t like the notion of paying for a person to read my poems, or anything like that. ArtsATL: How would you characterize the submissions you’re getting, and how, if at all, is the work different than what you’ve seen in the past? Bottoms: Not much of anything you really want comes to you. . . . I don’t know how much we solicit. We used to solicit heavily. We don’t do that anymore. But I would say that most things we get now are from people who’ve read the magazine. That’s helpful. I like things that are clear. The “clear mystery,” as I say. ArtsATL: Oh, I like that. Bottoms: I remember years ago I was doing a conference, Poetry Conversations, I think it was called. Poetry Magazine used to have it for grad students. It was at the University of Indianapolis, I think, something like that. Indiana maybe. This was when Joe Parisi was editor. And they had me and Tess Gallagher up there and about 15 grad students. And I was the one who kept saying, “clarity, clarity, clarity,” and Tess kept saying, “mystery, mystery, mystery.” Eventually we got to the idea of the “clear mystery.” Clear mystery is what we are after. So that’s what I look for in poems. The clear mystery, trying to get to the ultimate, but doing it in a clear way. 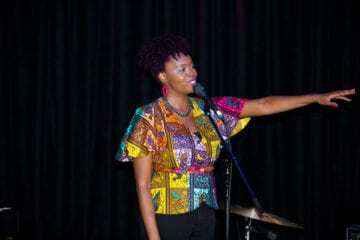 ArtsATL: Among the younger generations of poets, whose work do you find interesting or exciting? I know you teach poetry, and you’re in contact with a lot of younger writers. Bottoms: That’s a very fine question, but I just don’t know who the younger writers are. I know writers my age. My favorite who’s my age is Ed Hirsch. And Jane Hirshfield. I love her work. Ed, we’ve been friends a long time. Jane, I don’t know that well. A lot of people like Billy Collins. I like my friend Tom Lux, who died last year. Very strange poems. But, yeah, I wish I knew younger people. ArtsATL: Do your students and their work inspire you as a poet at all? Bottoms: Uh, rarely. We have very good grad students. The undergrads are alright. But we have a very good grad program at Georgia State. I enjoy teaching. . . . Yeah, we have students who have already published two or three books. Small presses, but still two or three books. They’re writing a lot. 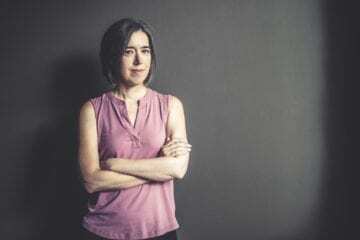 ArtsATL: I read in another interview that you don’t write every day, and instead, as you said, you “make yourself available to the world and hope the poems hit you.” That makes a lot of sense to me. It’s kind of antithetical to what a lot of people teach in the classroom: giving students writing exercises and assignments, telling them to write every day in a journal. I understand you rarely give writing assignments in your classes. I think that idea of waiting for the poem to come to you is what I subscribe to and believe. That said, I wanted to ask, are you working on anything now? What’s next? Bottoms: No, I’m not working on anything right now. I’m trying to move. Trying to buy a house. No, I’m not working on a thing. I haven’t written a poem in probably six or eight months. But that’s not unusual for me. Bottoms: It’s not unusual for me, when I have a book come out, to have a dry spell for a year or so. . . . I write because the poems need to be written. I was up at Johns Hopkins last year when my friend Dave Smith was up there teaching. And someone asked if I write every day, and I said, no. He hated that. He’s the kind of guy who sits down every day. When it’s nine o’clock in the morning, he sits down and looks at a blank piece of paper. And tries to write a poem. Well, I get tired looking at a blank piece of paper. And he want didn’t to hear that. He got upset about my answer. But that’s alright. I believe that you have to wait for the poem to come.